The best place to start looking for help (from housing to counseling) is by calling 2-1-1. It's a 3-digit number like 9-1-1, but calling 2-1-1 will get you a trained specialist, who will know what services are currently available in our community. You can also visit 211info.org to search services, or text your zip code to 898211. It’s a free, confidential, multi-lingual service. What does United Way of Lane County do? Our vision is to ensure kids in Lane County are successful in school and life. To do this, we work with local partners to assess community needs, raise and invest funds in local solutions, mobilize community members to action, and measure results to determine impact and adjust as needed. Why did United Way of Lane County decide to focus on ensuring kids are successful in school and life? What makes United Way different from other non-profits? When you give to United Way, your gift is strategically invested into a partnership of local programs and initiatives that work hand-in-hand to create solutions to many of our community’s most difficult problems—problems that no single organization can solve on its own. As a convener, partner and funder, United Way of Lane County works with the entire community to build resources, focus investments, and foster partnerships that create lasting solutions and improve outcomes for children and families in Lane County. 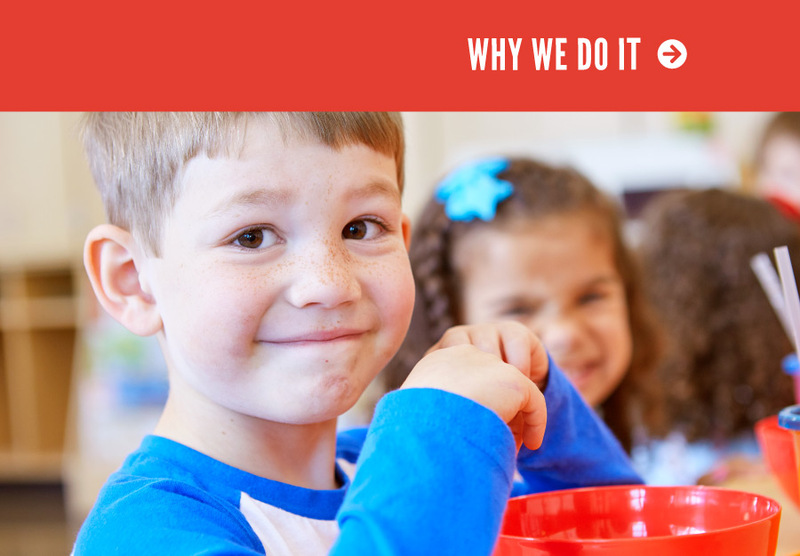 Your donation stays in right here Lane County to support programs that work to ensure kids are successful in school and life. Gifts donated to our general “LIVE UNITED Fund” are vetted by donors like you through our community investment process, and then staff follow up to ensure your donation is having the greatest impact possible. Because of United Way’s extensive use of volunteers, only 15 cents out of every dollar is required to cover the costs of our staff operations and fundraising expenses, as well as our efforts to assess community need, engage leaders to collaborate on strategy, and bring more dollars to Lane County through grants and awards (which more than doubled every dollar that local donors gave in recent years). Every dollar counts. That is the power of coming together as a community to create change. Who decides how the donations are used? Each grant cycle, local nonprofit organizations are invited to submit a proposal for funding, and we recruit community members - just like you - to serve on “community investment teams” to review applications, make site visits, and determine where and how the money should be distributed. These community members receive education about local community needs, training on how to evaluate efficiency, and discuss how your dollars will have the greatest impact to help improve our community. They are highly invested in the process because they are donors themselves. What is United Way of Lane County’s relationship with United Way Worldwide? United Way of Lane County is an independent, locally governed 501(c)3 organization. Donations raised in Lane County, stay in Lane County to help the needs directed by this community. As a part of a worldwide network, we do pay a small membership fee to United Way Worldwide that saves us thousands of dollars every year. These services include staff and volunteer training, campaign and market research, access to materials and resources, and national media coverage. There are many ways you can get involved beyond your donation. Participate in one of our many volunteer events, or search our website to find volunteer opportunities with other non-profits in Lane County. Join one of our groups: Emerging Leaders (monthly activities for young professionals) or Retire United (quarterly activities for retirees). Get your company involved through sponsorships, workplace giving, or corporate volunteerism. Stay up to date by signing up for our e-news, and connect with others at our events. Or contact us if you are interested in other opportunities. What are the funding opportunities and who can apply? Our investment framework encourages innovation and collaboration between agencies, reflecting the concept of Collective Impact. Grant awards are built around three complementary areas: Transformation, Support, and Innovation. Everyone offering service in Lane County that will advance the vision of ensuring kids are successful in school and life are encouraged to apply. To receive news and updates via email about our Community Investment grant application process, sign up using the form at the bottom of the page. Living United is about understanding the complex issues that face our community, our state, and our nation, and coming together to solve them. No matter how you support the vision of ensuring kids are successful in school and life you are advocating for kids, families, and our community with your actions.